Thanks as always for the info and the music. his themes have always the main feature of traditional African songs, to educate. Lat Dior Ngona Diop was one of the two kings of the wolof kingdom of Kayor who fought against the French, for the release of Senegal at the colonial invasion. If you are interested in the Kayor here. For a long time, i searched this very rare LP, i can listen it, finally! 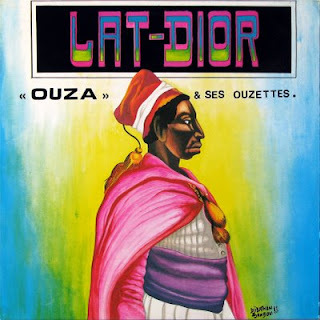 It's a return to the source, the Roots of Senegalese music. Anyway, i am very grateful to you for sharing of all these treasures. That's a very lovely album. I used to love the track Dollar. That was off the hook. Thanks for posting such great memories. i like it more and more each spin! thank you very much!